Diosdado is with the Bignay Cycling Team in this mountain biking adventure. The way in getting here is not only adventurous, but also surrounded with a little danger while traversing roads near the cliffs and rocky hills. But when they get there, the freshness of the air and calmness of nature quickly restores their strength. Mt. 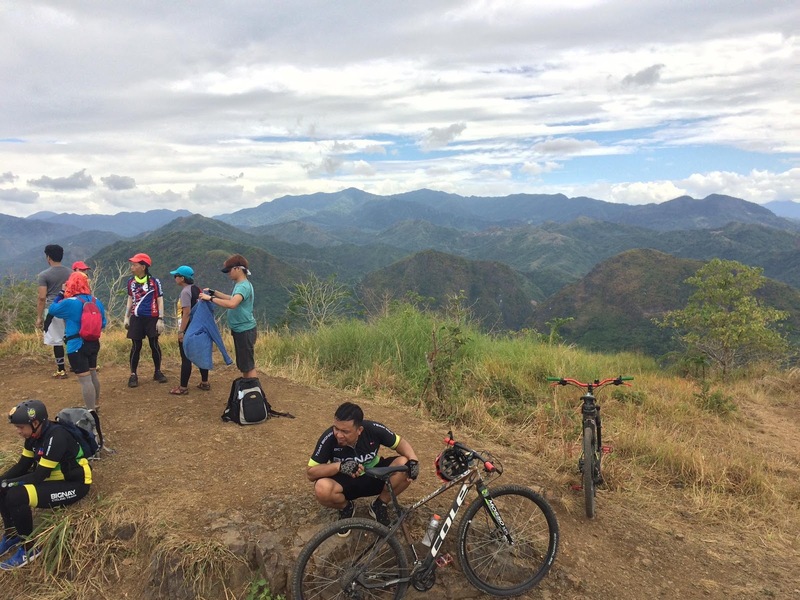 Parawagan is a popular hiking destination for mountaineers and adventure seekers alike. It is located in Brgy. 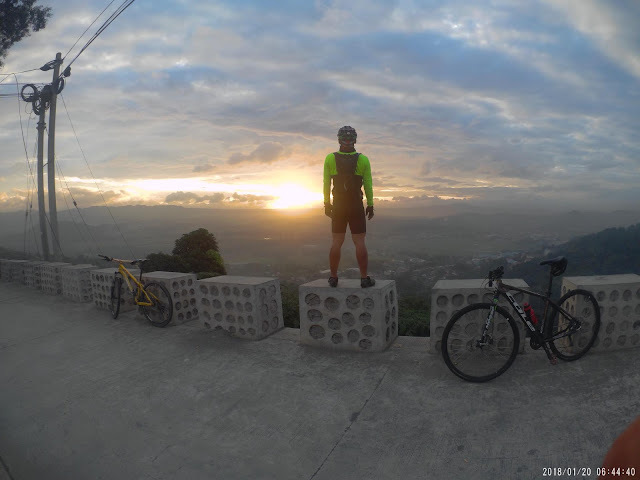 Wawa, Rodriguez, Rizal. The trails to the summit are characterized by grassy lands, green forests, steep uphill, and unpaved roads going up and down. 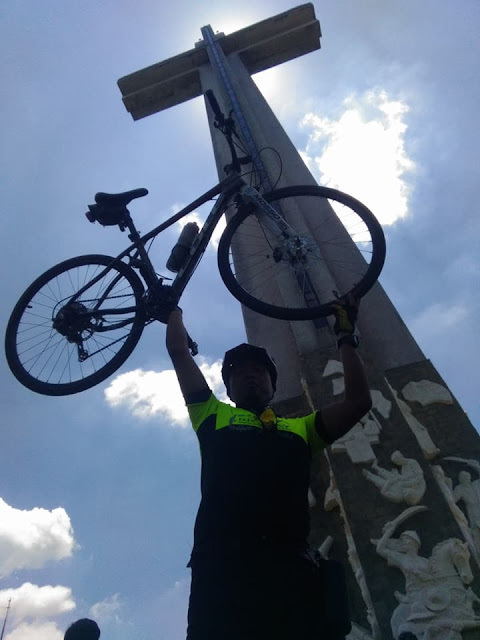 Guess what’s the highlight of this cycling escapade to Mt. 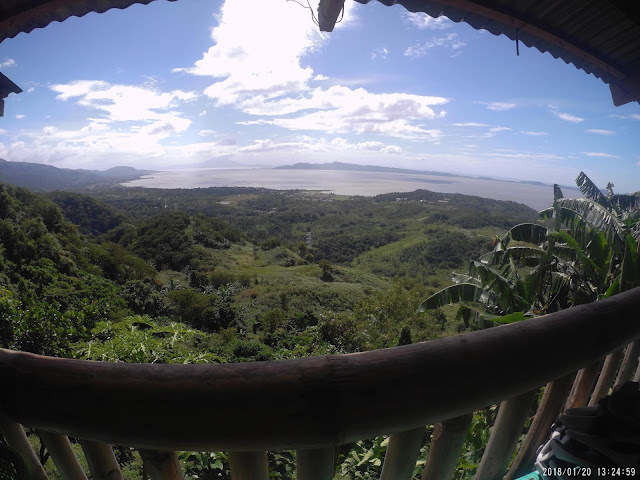 Parawagan. We’ll these photos would tell. This time around, the excitement brings us to Baler, Aurora – known as the “Surfing Capital of the North”. 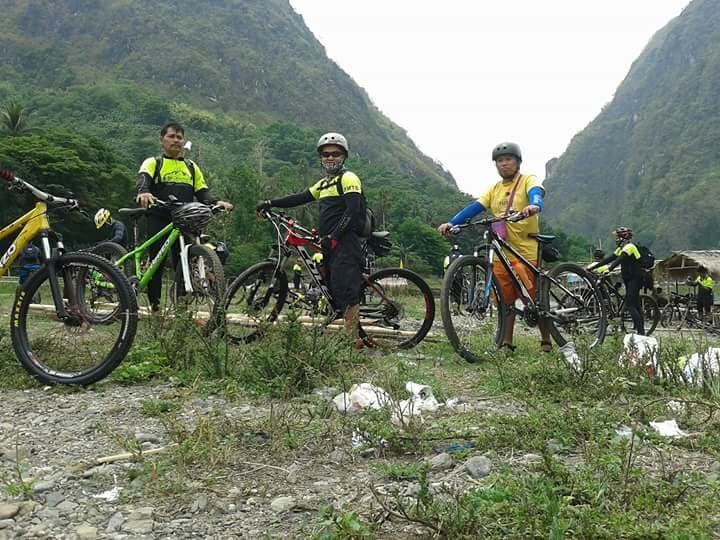 We may not be seeing waves and surfers in these adventurous photos of Diosdado and friends but obviously, the Bignay Mountain Bikers made it there after hours of pedaling. 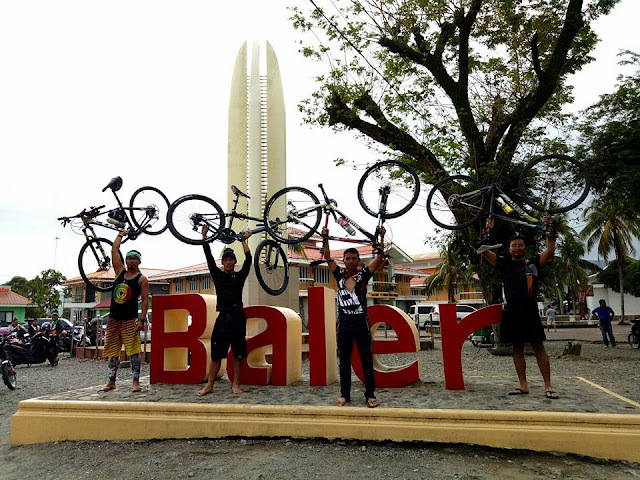 Among of the most popular tourist spots in Baler are the Sabang Beach, Museo de Baler, Dicasalarin Cove, Ditumabo Mother Falls, and the 600-year old Balete Tree. 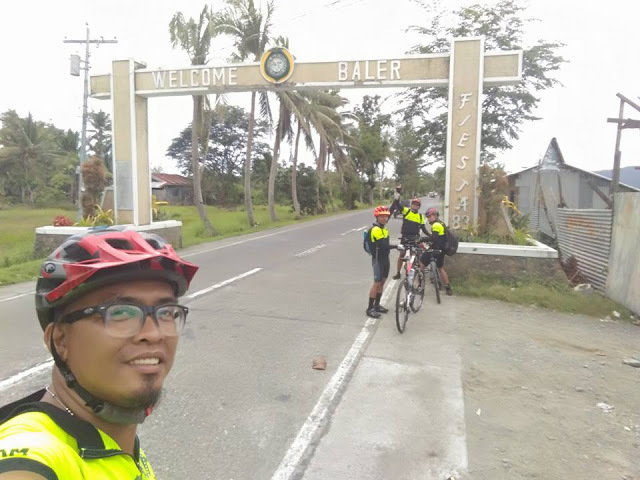 The picturesque signage of “Baler” is located at Brgy. Pobalacion in Baler town proper. Look how happy and energetic these folks are! 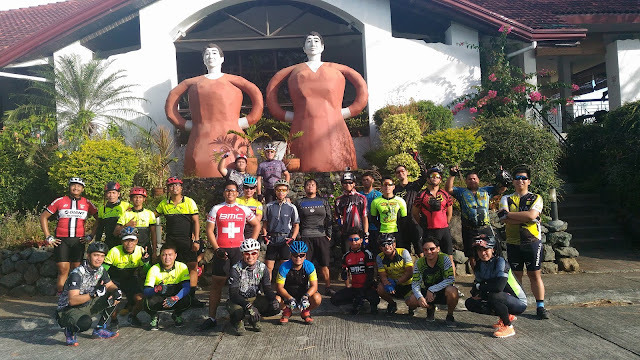 In this popular old site of petroglyphs or rock arts in the province of Rizal is where Diosdado and the Bignay Mountain Bikers bring their bikes next. Here, the team meets other bikers and the camaraderie among these folks bring them together in this wonderful shot of smiles. According to Wikipedia, “there are 127 human and animal figures engraved on the rockwall probably carved during the late Neolithic, or before 2000 BC.”. That was too old to remember. 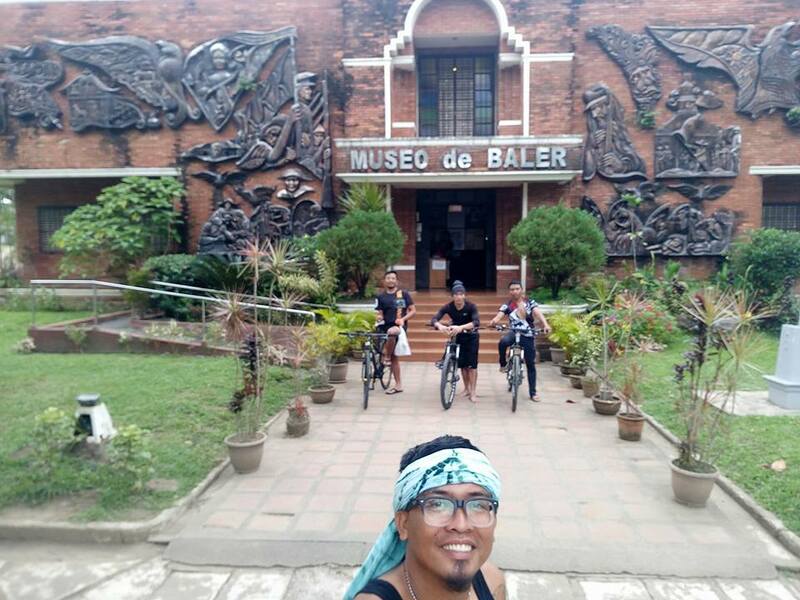 The National Museum of the Philippines is the body caring and protecting the thousands of years old treasure of the Philippines. 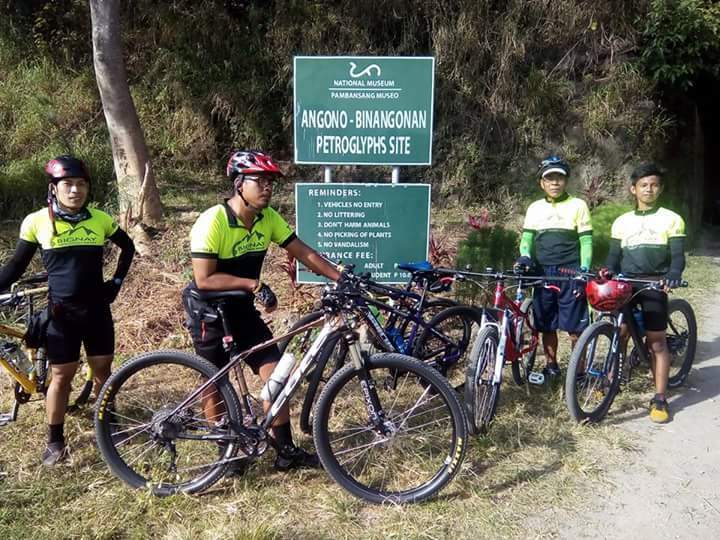 Here is Diosdado and his teammates at the Petroglyphs site’s landmarks. 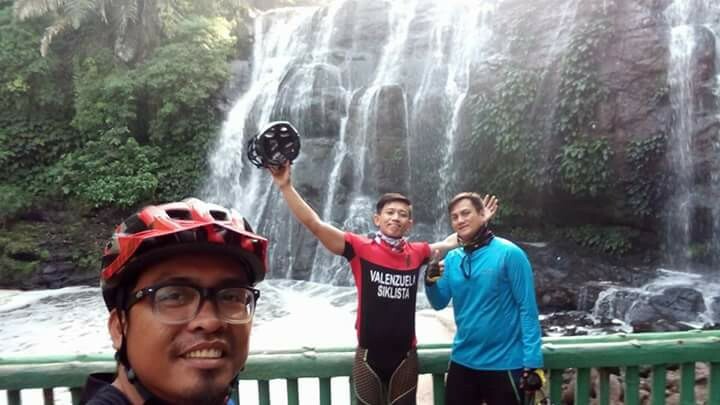 With his friends from the Valenzuela Siklista team, Diosdado has conquered the amazing beauty of this waterfall park. Obviously, Diosdado and his friends make it sure they will bring back home with them a memorable photo with Hinulugan Taktak as background. Declared as a National Park In 1990, the site has been attracting thousands of visitors each year. 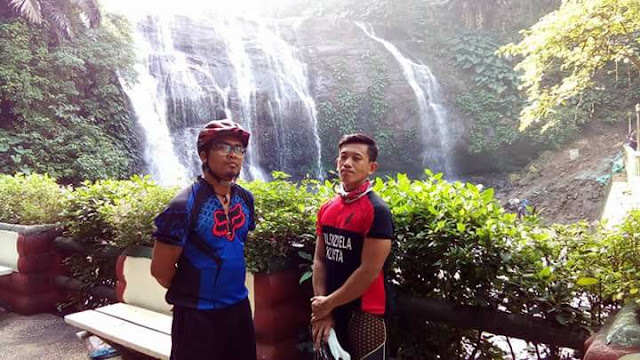 Who would not pedal uphill just to witness the inviting beauty of this waterfall. And you may want to know the meaning of the name. Well, “taktak” means “bell” while “hinulugan” means “fell”. As the old story tells, it was in this waterfall where the bell fell. The deeper side of the story is for you to discover more. Hinulugan Taktak experienced abuse brought about by pollution in the past years. 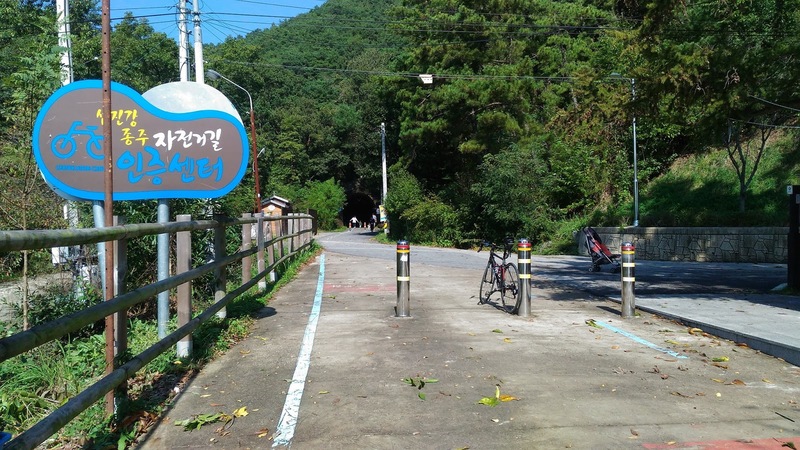 Thanks to the cooperation of various organizations, it is now home to fish, birds and other animals. Surprisingly, Diosdado found his favorite animal in this place – the cat! 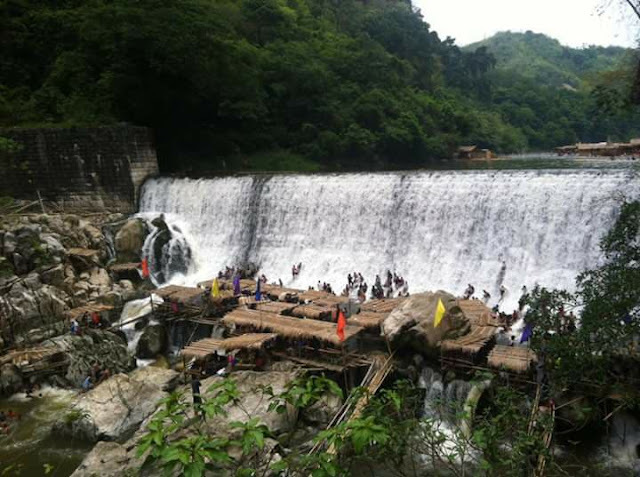 Speaking of waterfall, adding to the list of Diosdado’s toured places is the Wawa Dam. 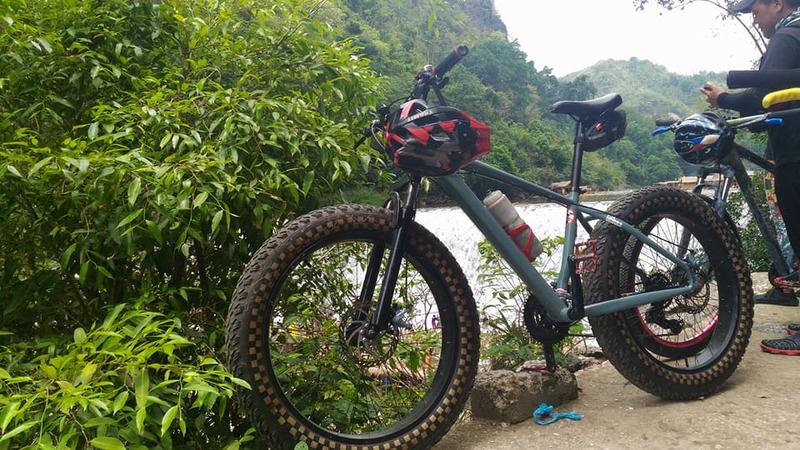 Just located in the other town of Rizal, Montalban in particular, Wawa Dam is where the jumbo tyres of Diosdado’s bike roll over. 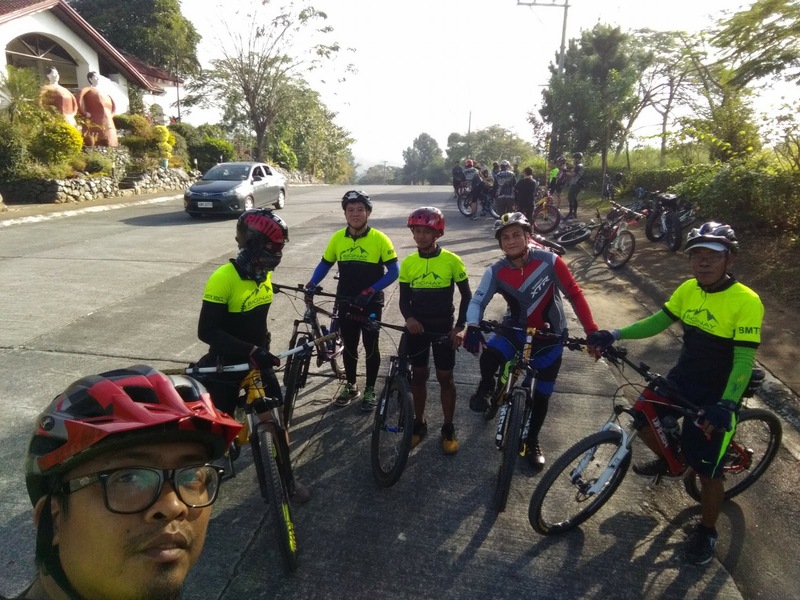 It was the anniversary of the bikers’ association BMTB, where Diosdado is a member of, and the picnic adventure at Wawa Dam is the perfect way to celebrate it. 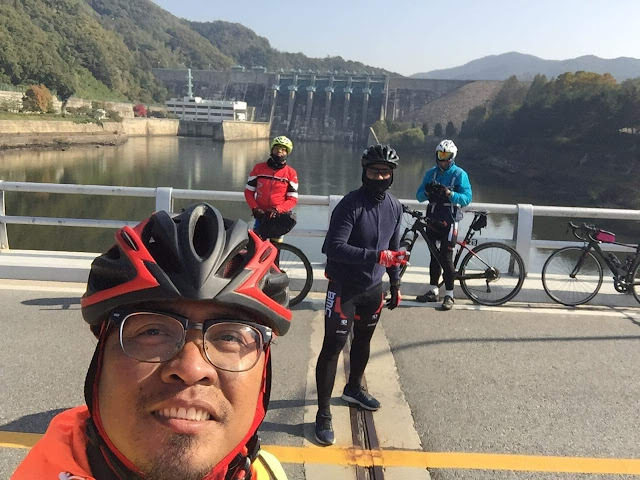 It was during the early 1900’s when Wawa Dam is constructed, the main purpose of which is to supply water to Manila residents during that time. The water comes from the Sierra Madre mountains to this dam and then flowing down to the Marikina River. 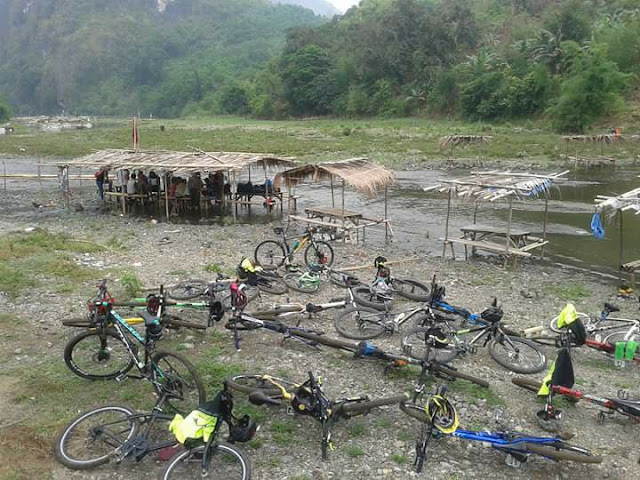 Look at the enthusiasm of the BMTB bikers in this once in a life time get together. From traversing the roller coaster path, to parking their bikes in the rocks, to preparing the sumptuous meals, to enjoying the Filipino’s “Boddle Fight”, and then soaking themselves in the fresh and clean water of Wawa Dam, the celebration is truly one-of-a-kind! As they say: “Only in the Philippines”. 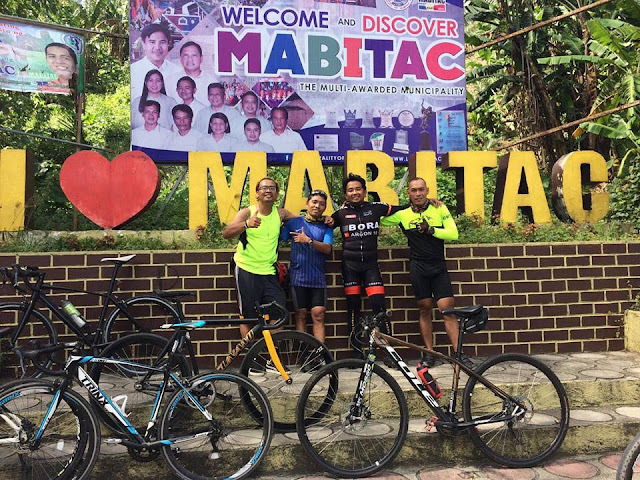 The pedaling continues for Diosdado and his co-bikers, this time in Mabitac, Laguna, Philippines. While the signages would speak something great in this photo, to be physically there and to see for your self the majestic beauty Mabitac has to offer is the team’s ultimate objective. This magnificent view of Laguna de Bay is the highlight of this cycling adventure. From sunrise to sunset, the team combats exhaustion just to be near the largest lake in the country. 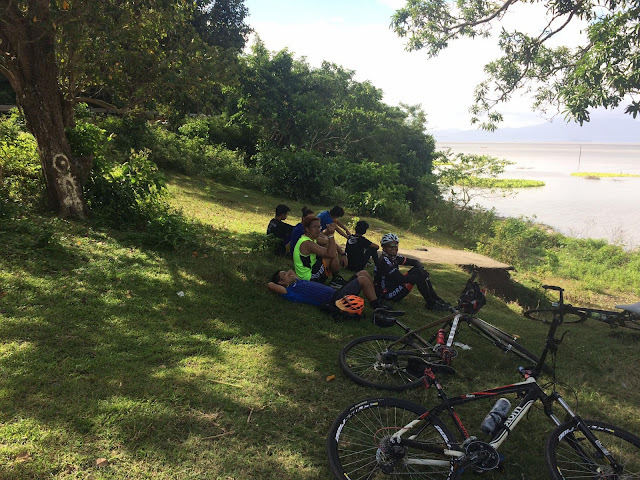 They then find themselves resting under the tree at the bank of the bay that hot summer day. On their way home, the best place to be is this karinderya along the road. What a trip to remember! Diosdado is an Overseas Filipino Worker or OFW and has been working in South Korea for several years. But whenever he flies back to his home country, the native land is always closer to the heart. 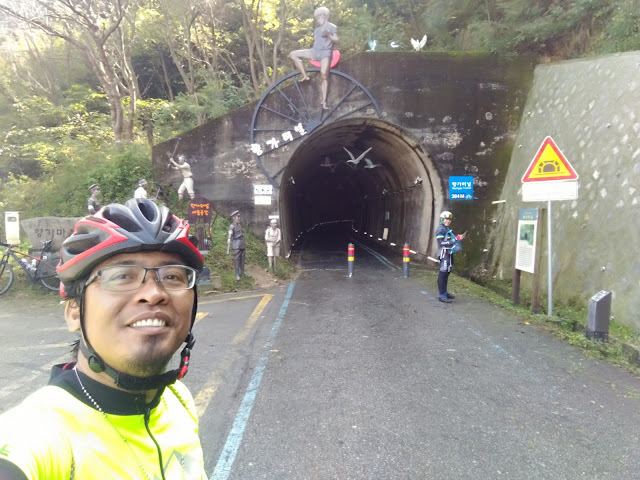 In 2017, this ride to Mt. Samat in the Province of Bataan proves that Philippines is something to love about. 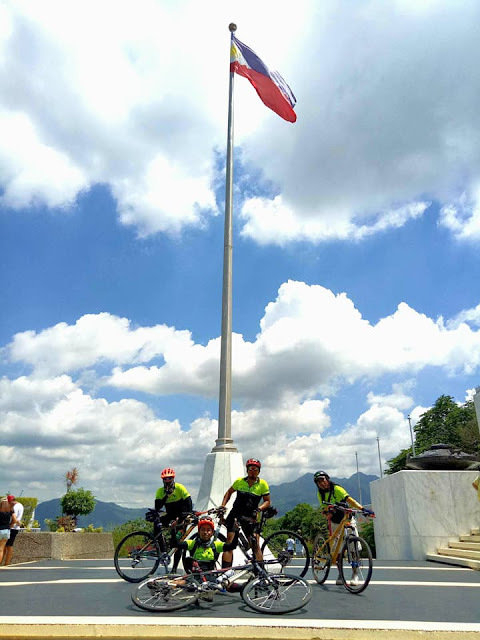 This time, the backgrounds are the Philippine flag and the “Dambana ng Kagitingan” (Shrine of Heroism). Here are some quick facts for you. 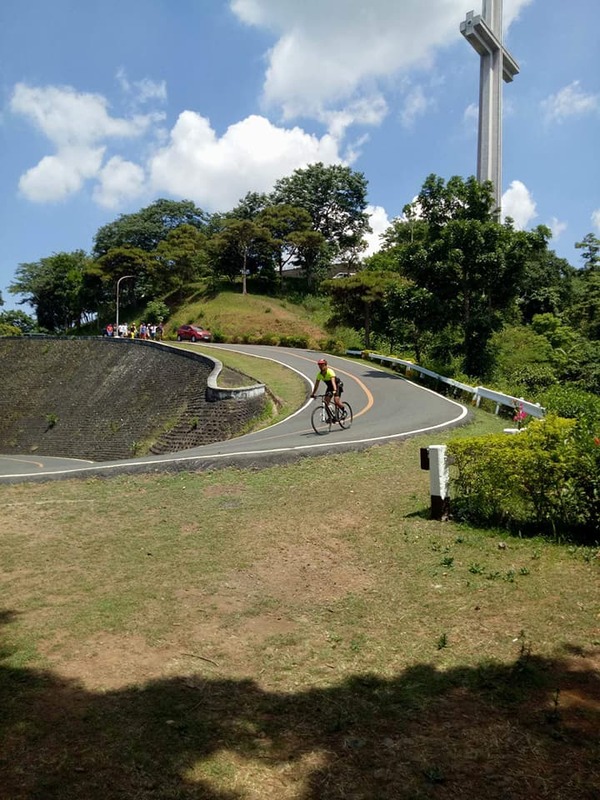 The Mount Samat National Shrine was erected as a memorial to the heroic struggle and sacrifices of those Filipino and American soldiers who fought and died in that search for freedom against the Japanese invaders during World War II. 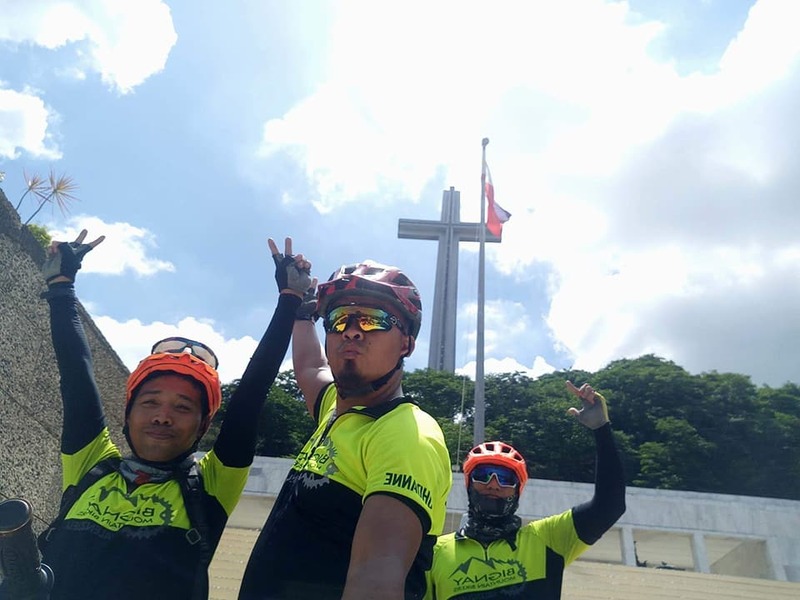 That cross on top of the mountain is something that would uplift our national pride and identity – that we Filipinos will die to find freedom. 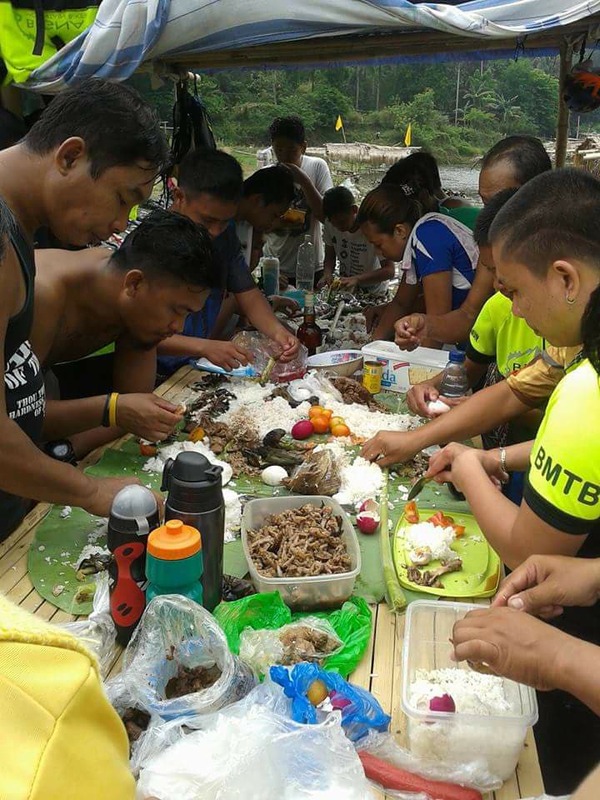 Here are the photos that shows pride and patriotism of Diosdado, an OFW and pure blood Filipino. 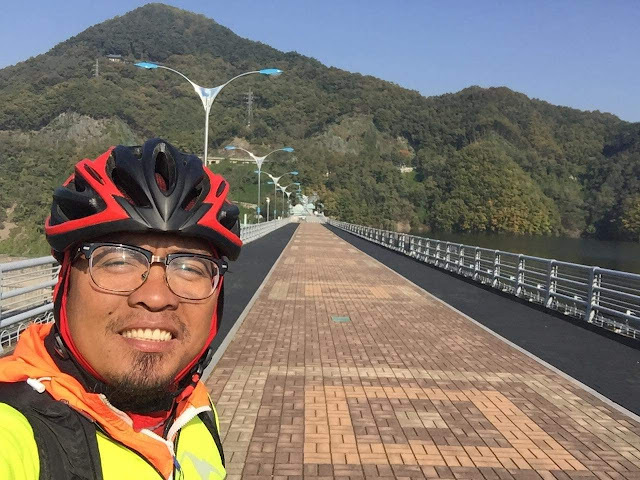 Diosdado’s biking adventures goes as far as South Korea, the country where he works. 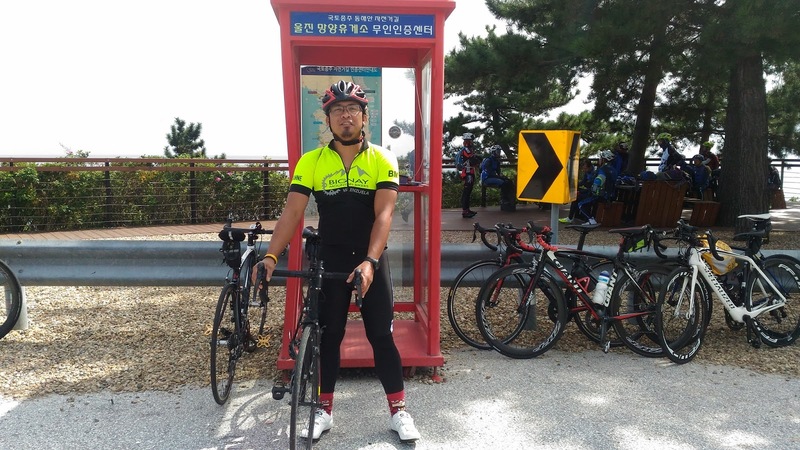 Since this is about biking, sharing a few of Diosdado’s adventurous tour of South Korea would be great. Have a look on these wonderful photos of the country and try to figure out why biking is life for Diosdado. In this generation of selfie, groupie, jump shots and 360 view, biking or cycling is just getting into the next level. 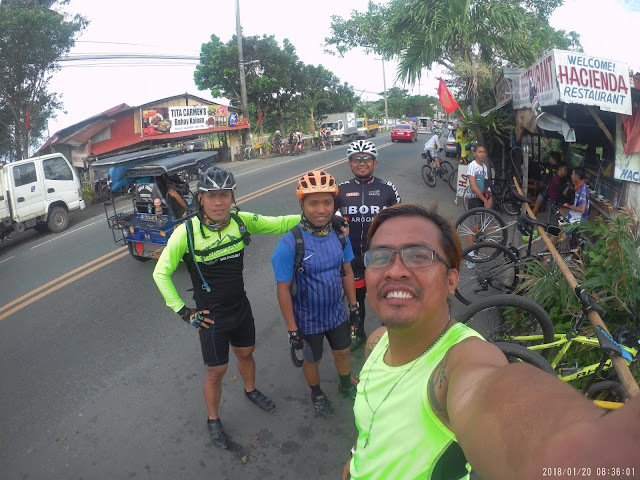 Being a biker, you will have to take your smartphone or GoPro camera with you so you can capture the best in what you will see on and off the road. But above all, what you can get from this sport activity is that fulfillment of your goal to be in that place – that place where you can see both beauty and peace of mind. Biking is not an easy leisure. 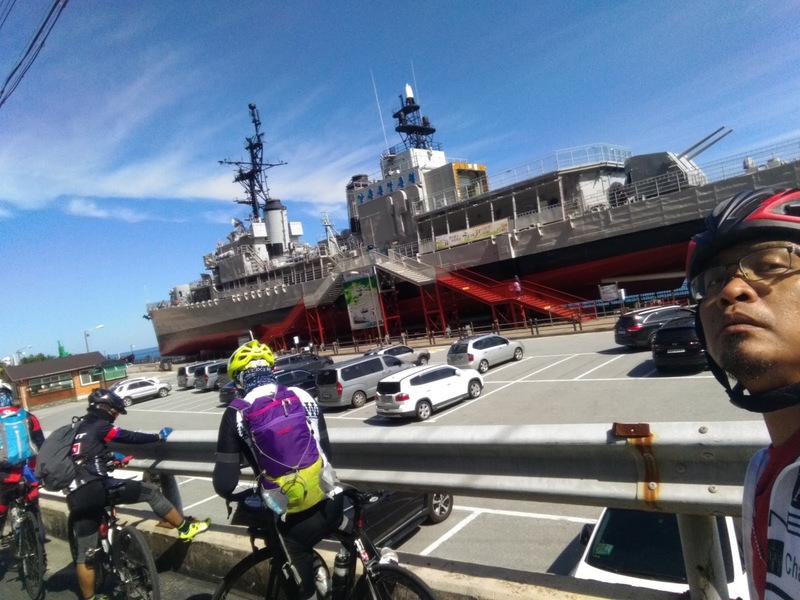 It is more than exercise. 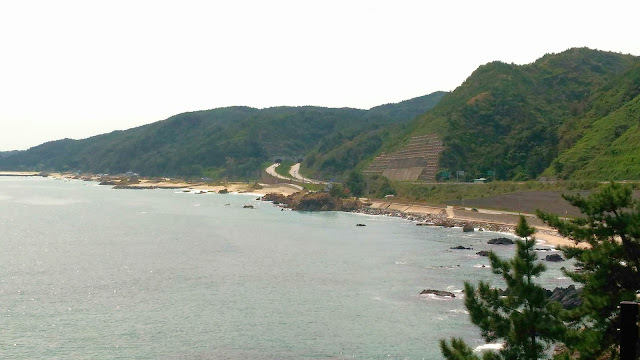 While on the road, you are rolling together with vehicles bigger and faster than you. 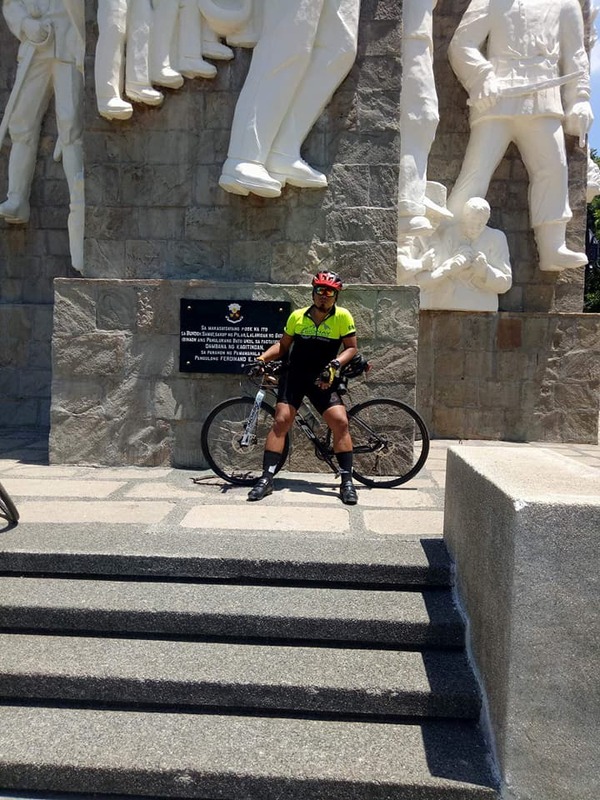 You may have noticed that Diosdado is a member of a cycling group. 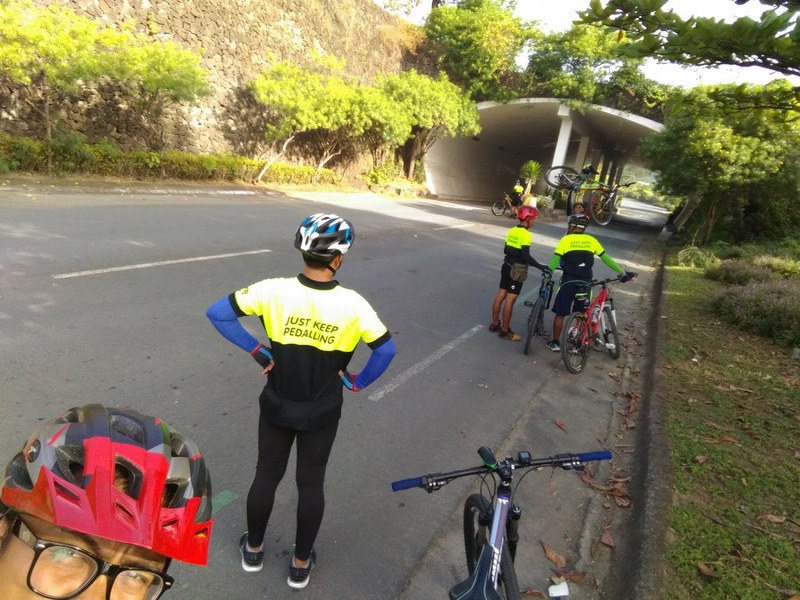 This group has a road protocol to follow. Safety, security and well-being of its members is always on top of the leaders’ consideration. 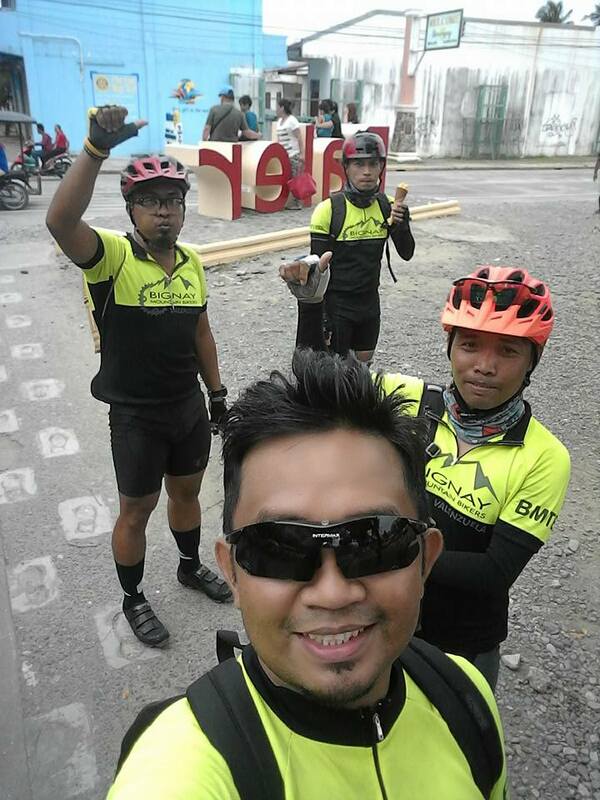 In the Philippines, biking is being embraced by many. 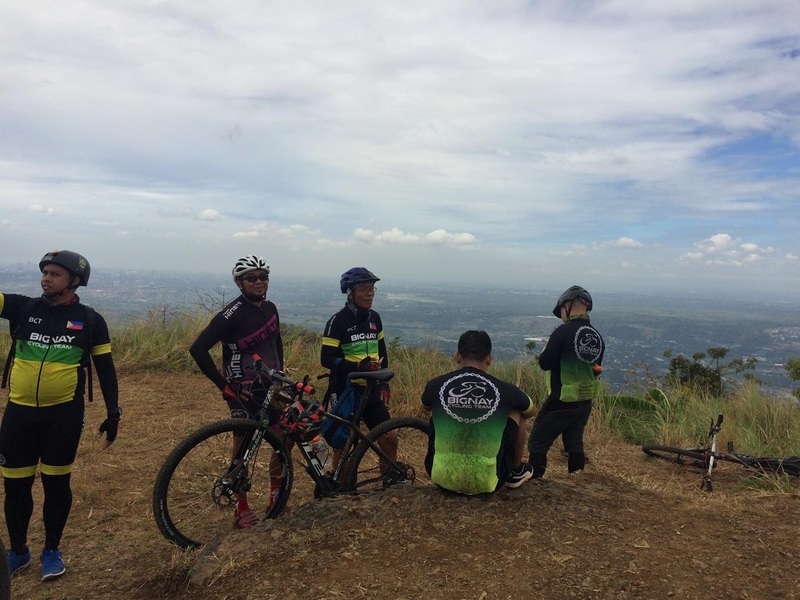 Some even take it to the next level, by joining races, as a team sport. Some take it to the extreme level, by speeding up their wheels along steep rocky hills and within unchartered terrains. 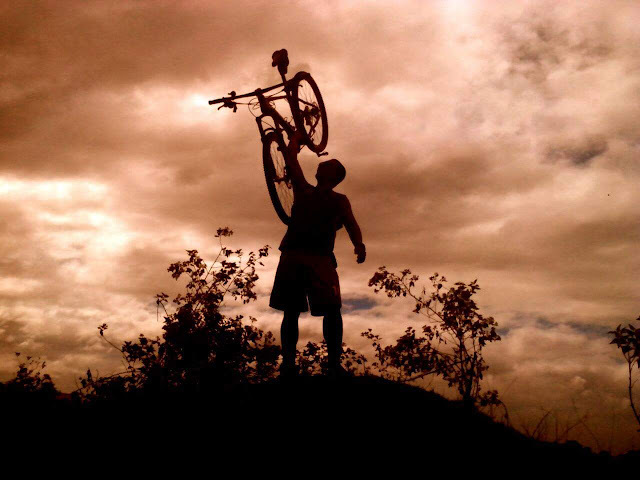 In doing all these things comes an investment in the type of bike you will have to drive. Like Diosdado. 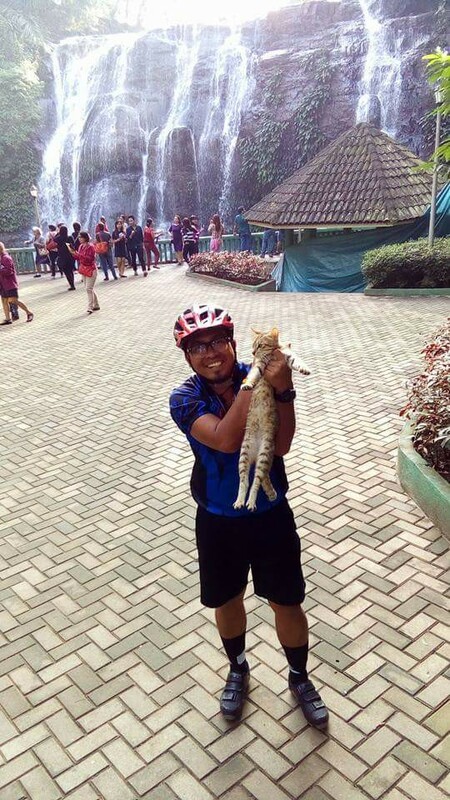 I’m also a biker. I use my inexpensive mountain bike in going to and from the public market almost everyday. 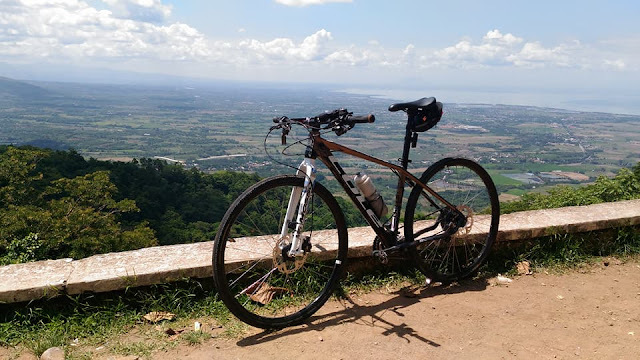 When time allows, I drive around the nearby towns of Cavite. And I always put my helmet on. 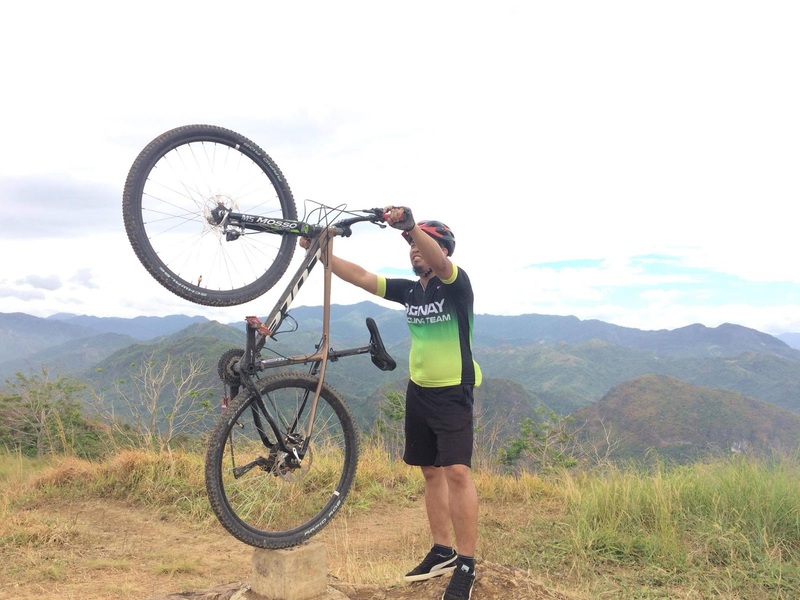 I regularly check the tires, breaks and mechanical components of my bike. I wear protective gears. Thanks Diosdado for allowing me to write the story of your biking adventures. 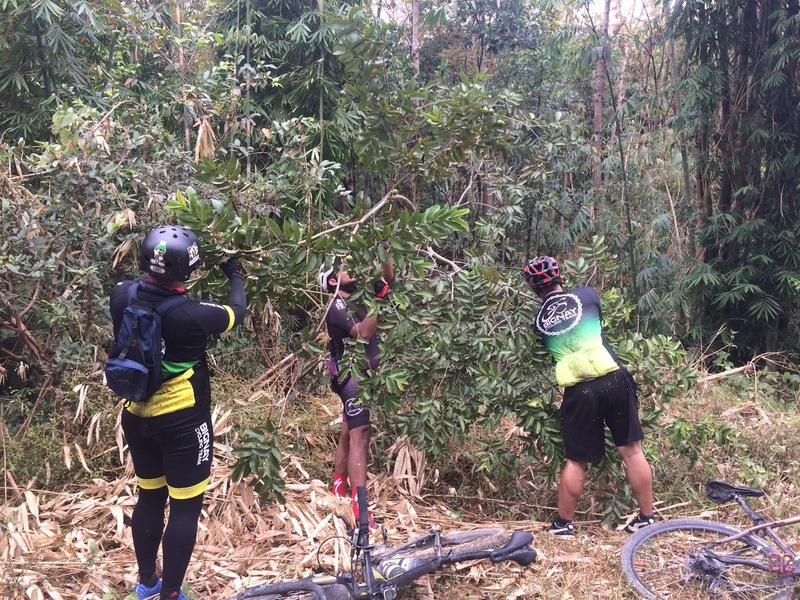 And to all the bikers and cyclists out there, hobbyists or extremists, this blog is also for you. I know how difficult it is to pedal hours-long, hundreds of kilometers forward and back home. I know that you lived by the principle that "rain or shine, biking must go on". 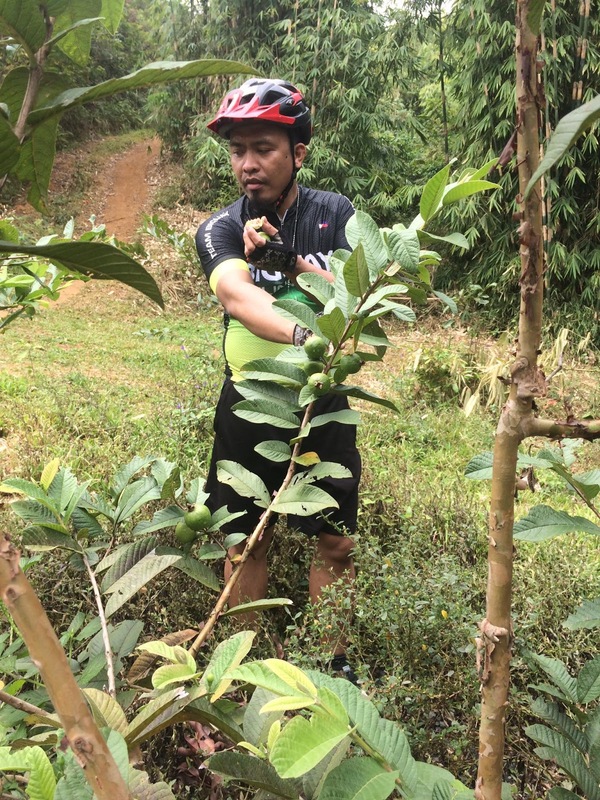 May you always stay safe in your biking adventures. Noriel Panganiban is a cousin of Diosdado. Noriel loves writing stories and adventures of the Filipinos living here and abroad. As a writer, Noriel believes that a blog like this can help inspire people, especially the Filipinos, in improving their lives here in the Philippines. Noriel is also an advocate of free to affordable education, thru his website www.knowriel.com.